Ajay Bhushan Pandey, the chief executive officer of UIDAI, said the Virtual ID would address this concern by giving people the option to generate a random number from a mobile application or the Unique Identification Authority's website. He called it a pseudo-Aadhaar number. Virtual ID that had been in the works for 18 months, according to authorities. Instead, Mr Pandey said the Virtual ID that had been in the works for 18 months was introduced to block any attempt at profiling the crores of people who had enrolled for the unique identification number. "May be at some later day, somebody may start linking Aadhaar number with various databases and then some profiling could be done and thereby privacy concerns were being raised," Mr Pandey said in an exclusive interview to NDTV. He said the Virtual ID would address this concern by giving people the option to generate a random number from a mobile application or the Unique Identification Authority's website. He called it a pseudo-Aadhaar number. 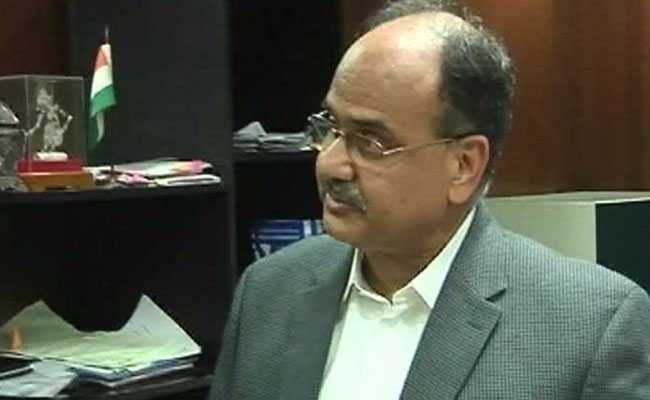 Ajay Bhushan Pandey spoke to NDTV about virtual ID. "What we have done is that we have given a facility to people that you can generate a pseudo Aadhaar number. It is like a camouflaged Aadhaar number, where you go to our website, and then enter your own Aadhaar number. One OTP (One Time Password) comes to your mobile number registered in the Aadhaar database and then a 16-digit number is sent to you," he said. This would ensure that the agency - government or private - which seeks to authenticate your identity will not get access to your Aadhaar number. Instead, people can give them their Virtual ID linked that they will send across to UIDAI along with the individual's biometric. UIDAI will electronically match the Virtual Aadhaar ID and the fingerprints and report if they match, and the person who they belong to. Mr Pandey rejected suggestions that this implied that UIDAI's security architecture, which it has always claimed could not be breached. "This is an extra layer of security. Because security is something where one has to be sensitive and alive to the current challenges. Let us say, about 20 years back, the people... their privacy concerns were quite different from the privacy concerns in 2018, and the privacy concerns and security concerns will be quite different five years hence. So therefore, today we need to see what are the privacy concerns and what are the measures that we have to take," he said. Mr Pandey told NDTV that "this particular suggestion (Virtual ID) was discussed, when in 2009-2010, we were designing the basic Aadhaar system. And at that time, it was felt that let us first give Aadhaar number, let us see how it plays out and then, at an appropriate time, this will be introduced."